"I want qualified tenants who will pay on time"
"I don't want to be calling AC companies at 1 am"
"I want assurance that my rental income won't suddenly stop." Tenant skips out on lease, leaving without providing the required notice/cancelations fees. Tenant leaves because of being called for military service or transfer. This package also covers the cost of rekeying locks in any of the events listed about, up to $200 in value. Some property management companies will tack an extra service fee on top of the cost of repairs and replacements. 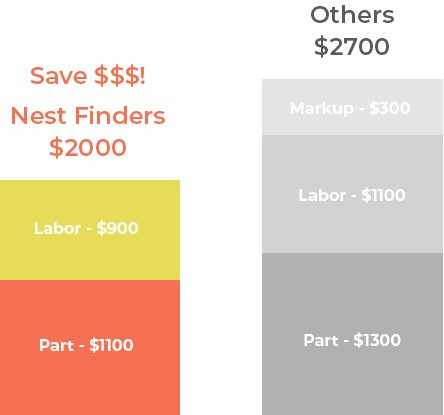 Nest Finders takes the opposite approach - we're negotiated discounts with our vendors, and pass those savings on to you with no hidden service fees. 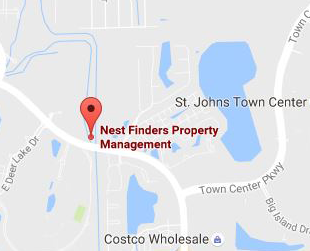 Our established presence in Jacksonville means we've carefully scouted out the top vendors, professionals you can trust with your most valuable investment. We don't believe in nickel and diming our customers. Our simple fees include everything that we do. No surprises! Calculating your expenses should be easy. Ready to get your custom pricing?